The Museums Australasia conference, MA 16, is happening right now in Auckland, and I’m not there, although three of my colleagues are. It’s a typical large museum/gallery conference, with inspiring keynote speakers and parallel streams, and participants from museums large and small in both Australia and New Zealand. What’s odd is that a major part of the museum sector in both countries has been excluded. In today’s session I counted 54 speakers. 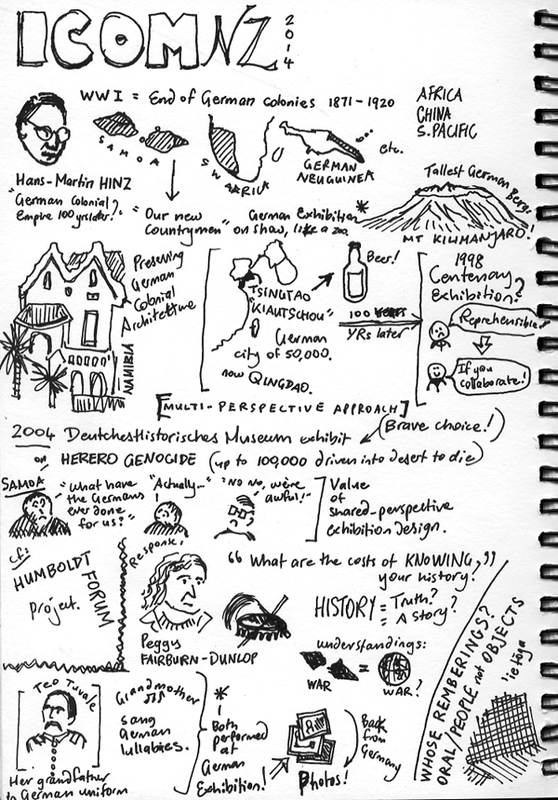 Every single talk was on cultural history, art, indigenous culture: the humanities. There were no presentations at all by scientists or about natural history. 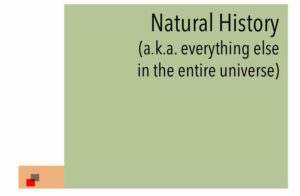 That’s surprising, because natural history collections and research are a major part of museums in New Zealand and Australia. These institutions hold millions of specimens and dozens of curators, collection managers, and researchers. 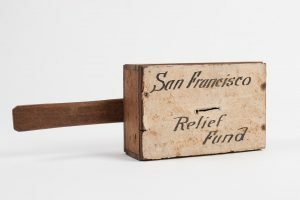 Many of them were founded as natural history or geology collections, by directors who were scientists and believed that understanding the natural world was part of a museum’s core mission. Today, with climate change and an ongoing biodiversity crisis, the research they do and the collections they hold are more important than ever. Why were there no scientists presenting at MA 16 today? 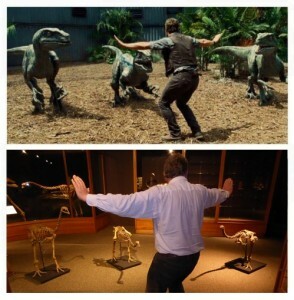 Anyone would think museums didn’t do natural history. No doubt there are plenty of reasons the organisers could offer. Scientists don’t go to these sorts of conferences. Humanities people like to hear from other humanities people. Scientists only want to talk about science. Scientists don’t put themselves forward to speak or run plenaries (perhaps they’re shy). Scientists aren’t interdisciplinary enough; they should act more like humanities people. 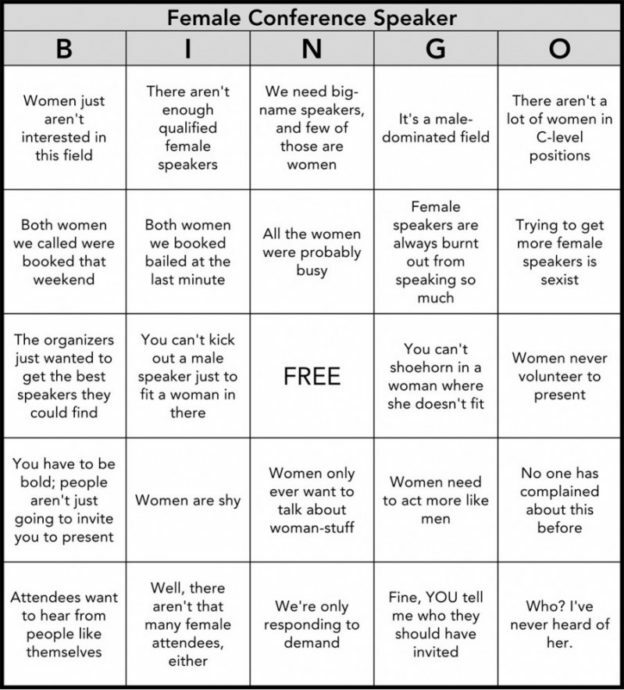 If these sound familiar, they’re the same excuses rolled out to explain why there aren’t women speaking at a conference. Some of this is obliviousness and insularity. 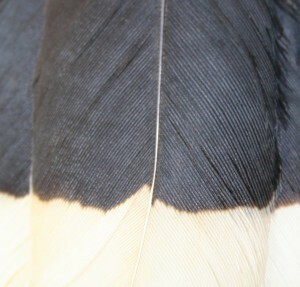 Some of it, though, is the asymmetry identified by C. P. Snow in The Two Cultures. It’s the idea that a grounding in the humanities is sufficient to be a well-rounded “cultured” person, but that understanding science is an esoteric unnecessary specialisation. This manifests in the museum sector as someone curating an exhibit on, say, insects (almost always characterised as “bugs” [sic]) despite having no background in entomology or even science. But hey, how hard could it be? Natural history exhibits are for children, aren’t they? Imagine if someone with a geology degree, perhaps an MSc in the stratigraphy of Devonian trilobites from Canada, was hired to curate a show on Victorian wedding ceremonies or Aboriginal artworks. There’d be an uproar; and rightly so. Not having any background in such a nuanced and complex field means the exhibition could end up wildly oversimplified, or even full of awful mistakes. But the reverse happens all the time: museum professionals with Arts degrees are curating galleries (or managing collections) of snails, birds, and butterflies. This seems to be perfectly acceptable. It looks like one of the five concurrent sessions on Wednesday has a couple of science speakers, but that’s about it. It’s really not good enough. The conversations at MA 16 today were about the battle between colonial and indigenous presentations of stories, about which group of people should have their worldview acknowledged. And yet this scope is so shortsighted, and so humanocentric, encompassing just a few thousand years. The story of the universe is physics, geology, life; people are such a very small part of that, yet we seem to think the conversation is all about us. This entry was posted in Musty-Dustiness on 16 May 2016 by Mike. I’ve been working at a smallish provincial museum for two years now, one of a dozen staff. People outside the museum profession (or hoping to enter it) sometimes wonder what a curator’s job entails, so here’s an account of a typical day. 06:00 Up, thanks to my ruthless internal clock. Check Twitter, news, and emails while still in my dressing gown. Sometimes I reply, but people who are obviously clearing their In tray at 07:30 are depressing. 08:20 Bike to work, only five minutes away. The joys of living in a small city. 08:30 More battling against the tide of emails. Once I adhered to the doctrine of Inbox Zero. No longer. We’re sending out some mounted birds and moa bones as a short-term display elsewhere, responding to a loan request. I’ve made a shortlist of the specimens we could use, most of which need to be properly registered, photographed, and condition-reported. Two of them are huia, which are extinct and quite valuable. One of us will have to accompany the loan and install them in secure museum cases so there’s never a moment when they’re unsupervised. Then I check the cases everything’s supposed to go in and discover there’s no way the birds and bones I’ve sorted out will fit. Back to the drawing board. 10:30 Phone call: someone has turned up at the front desk with a mysterious insect. Now that it’s summer, I’m getting identifications of this sort about once a day, usually garden bugs, spiders, fossils, or things discovered on the beach. 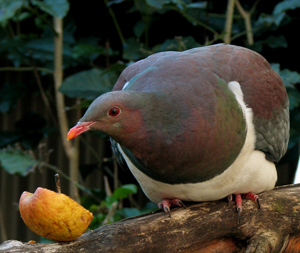 The visitor presents me with a small brightly-coloured insect wrapped in plastic, and he wants to know if it eats kiwifruit vines. I promise to get back to him. 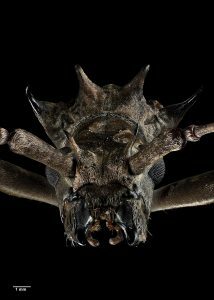 I remember seeing something like this in a Facebook group devoted to bug identification, find it, and double check in Andrew Crowe’s book to confirm. It’s a lichen bag moth, an Australian import. The larvae spend their lives in a bag they make themselves, eating lichen (not kiwifruit), and eventually hatch out as adults that live just a few hours – long enough to mate. The females are flightless and look a bit like brightly-coloured beetles. While calling the visitor back, I reflexively clean up the moth’s Wikipedia page and add a reference. Then I pin it for the collection, and log the “visitor interaction” in a Filemaker database for our stats. 12:00 Just before lunch I meet up with the organiser of the Whanganui Science Forum. There’s a talk at the museum next week by a visiting Massey professor, on poisons in the environment, and I need to publicise it via Twitter and Facebook; I maintain the Museum’s Twitter account, help with the Facebook page, and sporadically feed Instagram with odd museum-related objects. During lunchtime I have to take my new bike round for a checkup, as the pedals keep falling apart. While they switch out new pedals I try lunch at the Indian place round the corner, and find out why you don’t order the Indian Pizza lunch special. 13:00 Finished checking a case full of bones from the Makirikiri moa excavation of the 1930s, when the Museum recovered thousands of moa bones from a farm swamp a few miles upriver. Part of my job is to register, photograph, and display the entire collection in visible storage in its own dedicated gallery. I discovered that some suspicious-looking bones I was about to register were in fact from a horse, which must have fallen or been dumped in the swamp some time after the moa met their demise. To be sure, I checked them against Google image search, which is an excellent anatomy manual, and the mounted horse skeleton we happen to have on display at the moment. 15:00 A meeting at the Department of Conservation offices for Friends of Gordon Park, a community conservation group looking after a local forest remnant. 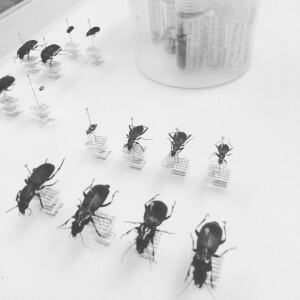 I want to do a collaborative research project with an Auckland researcher on the occurrence of Mecodema beetles in the remaining fragments of forest around Whanganui. Chatting with DOC about collecting permits on reserves gives bad news; the permit-processing backlog is currently four months, so I doubt I’ll be doing any collecting before next spring. Ah well. Perhaps I can find some forest on private land that won’t need a permit. Tweets over the course of the day: celebrating Hector Day, a discussion with the Cawthron Institute on whether river restoration is so great if it’s just for nasty introduced trout, the awful comments posted on the newly-available TVNZ documentary Ghosts of Gondwana, a possible title for the new Indiana Jones movie (Indiana Jones and the Interminable Festschrift), the flag referendum, and the unbearable sogginess of Indian Pizza. 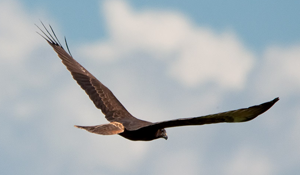 16:15 Flip through some other projects: another loan request, valuing the moa collection for insurance purposes, drafts of new Collection and Documentation policies for the natural history collection, and more emails. 17:30 Biked home in the rain, checking at the PO box to see if Monday’s Film Society movie had arrived yet (no; so much for overnight delivery). I’m on the committee of the Film Society, and handle the projection; movies screen at the Museum’s lecture theatre, downstairs from my office, which makes setup convenient. 19:30 After dinner, I bake granola, and correspond with Nicola Toki about this week’s Critter of the Week segment on the radio. Nicola picks a different endangered and uncharismatic species to talk about each week, and I make sure the Wikipedia page is spruced up and informative. Sometimes this involves writing a new article from scratch, but this week’s critter is the longfin eel, which is great, because the Wikipedia page for longfins is pretty good and only needs a little tidying up. I suggested Izatha caustopa, Chevron skink, and Pimelea actea as future Critters for Nicola. I add a news-story reference to the Hutton’s Shearwater page, and some nice photos supplied by DOC to the Powelliphanta article. 21:00 It’s Hector Day – Sir James Hector’s birthday – which reminds me I was supposed to write a review of Simon Nathan’s new Hector biography months ago. Refresh my memory by going through the Te Ara bio. Took the book off the shelf, flick through, make a couple of edits to his Wikipedia page instead. 21:45 Remember, at the last minute, that tomorrow I’m rostered on to supply the staff Thursday afternoon tea, so hurriedly whip up a tray of fly cemetaries. While they’re baking, Twitter and more emails. And so, eventually, to bed. That’s my day: a mixture of curation, collection management, outreach, identification, exhibition, volunteer work, with research, reading the literature, and collecting mostly happening in my spare time. Pretty typical for a small museum with a limited budget. But if you’re ever in Whanganui, be sure to come and say hi. My office is right in the moa gallery, so you can tap on the window and I’ll wave back, in much the same way museum specimens don’t. This entry was posted in Musty-Dustiness on 20 Mar 2016 by Mike. Recently I helped fill a display case at the Museum with native birds of the Whanganui area, and we were preparing labels, which is not as easy as you’d think. For example, which of several English names should you use (Waxeye, Silvereye, or White-eye)? Māori names also vary from place to place – Bellbirds are both korimako and makomako. But when I mentioned including the Latin name on each label, I could sense the resistance from the non-scientists on the team, and stopped to ponder where that came from. Why use names in an obscure language like Latin? Centuries ago, Latin was the universal language of scholarship, spoken by natural historians and philosophers across Europe no matter what their mother tongue was. Animals and plants would be referred to by a short description in Latin, but you would never know if you and someone from a distant country were both talking about exactly the same bird or tree. In 1735 the Swede Carl von Linné – known in Latin as Carolus Linnaeus – invented a system of binomial naming, in which everything got a precise name with just two parts, a genus and a species (like Homo sapiens). By sticking to those Latin binomials, everybody could be sure they were talking about the same thing. Nearly 300 years later, Latin names are still useful. 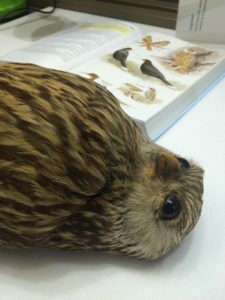 Ninox novaeseelandiae got its scientific name back in 1788; in New Zealand it’s called a Morepork or ruru, but in Australia the same species is a Boobook Owl. A White Heron or kōtuku in Aotearoa is an Eastern Great Egret in Australia, but Ardea modesta in both places. A widespread bird or fish can have a dozen different common names but only one Latin name. 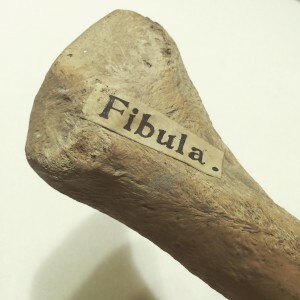 Scientific names are always written in italics, by the way, and the genus – the first part – always starts with a capital letter, while the species never does. The Wanganui Chronicle is one of the few newspapers that gets this right, but even so I’ve blogged a fairly-exhaustive Latin names style guide for journalists. 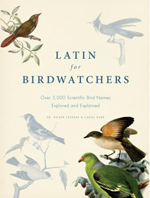 This book by Roger Lederer and Carol Burr, which I’ve been dipping into for the last few weeks, sounds like the most boring in the world: Latin for Birdwatchers. But it’s actually fascinating for someone who loves birds but might not have taken Latin in school to unpack familiar names and see how they make sense. The Kingfisher (Todiramphus sanctus) is a little bird (todus) with a big bill (Greek ramphos). There are seven different species all called Bellbirds, but the New Zealand one, Anthornis melanura, has its habits and distinctive features captured in its name: a flower-bird (anthus ornis) with a black (melas) tail (ours). Fantails belong to the genus Rhipidura: literally, fan (Greek rhipis) tail (oura). The New Zealand species is Rhipidura fuliginosa, or “sooty fantail” from the Latin fuligo or soot, because a small percentage of New Zealand fantails (especially in the South Island) are coal black. Latin names aren’t just handy labels: they’re classifications, and designed to tell a story about the ancestry and relatedness of species. The common Blackbird (Turdus melura) is in the same genus as – and thus a close cousin of – the Song Thrush (Turdus philomelos), but also the American Robin (Turdus migratorius). American Robins are named after the European Robin (Erithacus rubecula) but are actually a type of thrush, as you can see from the name. New Zealand Robins or toutouwai aren’t robins either, but close cousins of Tomtits or miromiro: both are in the genus Petroica. Our robin, Petroica longipes, is named for its habit of perching on the forest floor (petra, rock, and oikos, home) and its big feet (longus, long, and pes, foot). Latin names aren’t perfect, of course. You can find at least five different renderings of “New Zealand” in Latin: novaezelandiae, novaezealandiae, novaeseelandiae, novae-zealandiae, and novae-zelandiae. Because names are classifications as well as labels, they can change as we get a better understanding of a group’s evolutionary history. Recently the many species of the popular native shrub Hebe were reclassified into the genus Veronica, and nurseries had to rewrite all their catalogues. And sometimes Latin names just don’t make any sense: the Vermiculated Fishing Owl is in the genus Scotopelia, which means “pigeon of darkness” (what?). But for all their flaws, Latin names are full of stories, charmingly brought out by this book’s many sidebars and anecdotes; these, plus the abundant 19th century illustrations, would make it a great gift for a bird lover. This entry was posted in Musty-Dustiness on 23 Feb 2015 by Mike. Some old-school teachers shared their wisdom with me, that this dying art might be preserved. Divide the board into sections. Hold the chalk horizontally, so as to avoid squeaking. Use the same colours for headings and subheadings each time. Underline with a squiggly line rather than a straight line (because nobody can draw a straight line). Reserve a section for first appearance of terms and new vocabulary. The blackboard duster makes a useful missile. Chalk, though, is light and tends to veer about when thrown; it might bounce off a desk and fly up a student’s nostril. Theoretically. Erase section by section, so slow scribblers can catch up on copying what you wrote ten minutes ago. Learn the Jedi trick of writing whilst keeping your eyes fixed on the class. Have blackboard monitors or helpers, because kids love erasing and clapping out dusters. Completely colour in a brand-new blackboard with the side of a piece of chalk, then erase normally to “prime” it for use. Fun fact: chalk is not actually made from chalk rock (calcium carbonate), but from calcium sulfate in its dihydrate form, gypsum. So now you know. Thanks to Maureen Bell (University of Wollongong) and Alan Hoskin & Gregor Ronald (UCTL, University of Canterbury). This entry was posted in Musty-Dustiness on 3 Mar 2010 by Mike.